If you are a professional, executive level public servant or entrepreneur who needs to get financially well organised and plan for their future, Gianna is here for you. Since being a First State Super Financial Planner of the Year Award nominee, Gianna decided to run her own money coaching and financial planning businesses. She founded Thomson Wealth Pty Ltd to be a corporate authorised representative of Fitzpatricks Private Wealth. Gianna has been in financial services since 2001, after leaving the farming life. She has since become a financial planner for professionals, whereby over 50% have financial anxiety even if they are earning over $100,000 per annum. Her clients are generally time poor too, so she is all about helping her clients be financially well organised and build more wealth, so they have more time to spend on their career, family, health and personal life. To save her clients time from travelling to her office for meetings, she has established a virtual office, allowing more flexibility with where and when she can meet you. However, she is also happy to meet face-to-face in Canberra, if you prefer. She has a wealth of experience, and multiple qualifications to provide financial advice regarding superannuation, retirement planning, cash flow management, investing, debt management, asset protection, tax, personal insurances and estate planning. She also collaborates with other experts on your behalf, such as an accountant, lawyer and mortgage broker, to save you time from doing so. Due to industry experience, Gianna is an expert in the Commonwealth superannuation schemes, such as the PSSap, PSS and CSS whereby her expertise is often sought after by fellow financial planners and Government professionals. 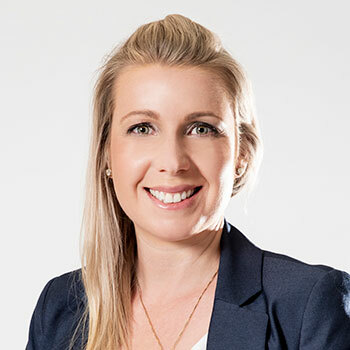 Gianna is active in our community by presenting at various workshops and seminars and she is a committee member for the ACT Financial Planning Association of Australia and ACT Women in Super. You are welcome to find out more about Gianna or book in for a complementary virtual coffee date via her website www.giannathomson.com.au.